What should you expect from a blasting company? While every need to break rock is unique to the project, there are some universal deliverables that are absolutely fundamental when it comes to a drilling and blasting company. Safety is the bedrock of our training and the cornerstone of our technology. We have earned our reputation as one of the safest and most experienced providers in the Northeast and Mid Atlantic areas. Since 1966, Maine Drilling & Blasting has safely performed more than 2 million controlled blasts for highways, site developments, quarries, house lots, utilities, marine and energy work. And through the years, we’ve upheld our founding principles of honesty, hard work, and quality of service. Our safety credentials are a product of our company culture, our aggressive training, and setting our own standards for safety above those of the industry. Risk and Compliance Management is significant. Employee ownership is added value. 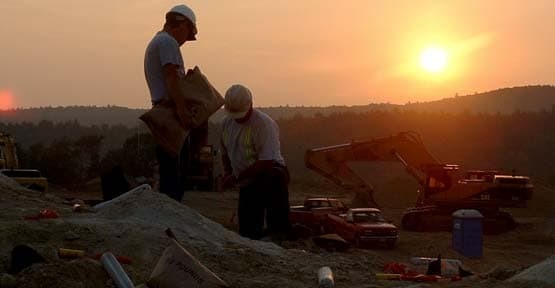 Our experience and expertise as a blasting company is evidenced by the many years we’ve been at it...for more than half a century, the varied projects we’ve performed, the specialty services we provide, the value added services we've developed, and the industry technology we’ve pioneered. For details, please visit the links below. For the icing on the cake, though, consider the benefits of having employee owners working on your project. Employee-ownership, which is rather unique for a blasting company, results in a renewed and improved level of service to our customers. Our employee owners know Maine Drilling & Blasting’s success is directly tied to their own (and vice versa), so we take greater responsibility for quality, safety, production, results and innovation. We have a greater stake in making sure that everything we do keeps our customers happy and satisfied. Different Customers – Different Needs. We deliver on them all! There are certainly specific considerations to take into account depending on your project. Check the links below for some great considerations, that homeowners should keep in mind when choosing a blasting company, as opposed to what a commercial contractor should be looking for, versus what will be important from the perspective of an energy developer, or quarry operator, etc. Maine Drilling & Blasting delivers on them all. Are you dreaming of an in-ground pool, but you've got rock? Is a ledge in the way of where you need to put an addition? Do you want to buy some property but the rock's stopping you? Don't let problem rock get in the way of your plans, dreams or construction projects. Maine Drilling & Blasting is right around the corner and ready to help with your blasting needs. No job is too big. No job is too small. Maine Drilling & Blasting works with private homeowners every day. So if you need to get rid of rock close to home, we’re your blasting company. Ran into ledge digging for a foundation? Need to make way for underground utilities? Rock obstructing the path of the private road and drive you need to complete? Don’t let problem rock complicate your construction jobs. Maine Drilling & Blasting is right around the corner and ready to help with your blasting needs. No job is too big. No job is too small. General contractors of every size rely daily on Maine Drilling & Blasting. We’re committed to the importance of your job. We understand delays to your schedule can mean a decrease in your profits. We listen, plan, react to your needs and meet your schedule. We’ll put the right people, the best equipment and the safest procedures to work for you. So if you have a project that calls for blasting or rock anchors, you can count on us as your blasting company. Does your project call for rock anchors or hoe rams? Need to drill and shoot under water? Have hundreds of thousand of cubic yards of rock to move in a tight deadline, under less than ideal conditions? No job is too big. No job is too small. When it comes to blasting, for good reason, commercial contractors and developers keep coming back to Maine Drilling & Blasting. Need rock stabilized on a heavily trafficked highway? Without stopping traffic for more than 20 minutes at a time? With either a new cut or rock anchors? Blasting needed to install new interstate ramp systems through granite bedrock? The success of your next project is written all over our faces. Maine Drilling & Blasting’s presplit faces, that is. A bad presplit can mean delays if a hoe ram needs to finish the job. Future instability of the face can jeopardize the project outcome. That’s not good for our customers. And not acceptable to us. Maine Drilling & Blasting is one of the Northeast's most experienced blasting and drilling companies, committed to the success of your next project. We don’t just put on a good face. We deliver it. Need to blast downtown for a sewer abatement tank? Rock in the way of aligning and widening that problem road? Need to clear bedrock to finish the landfill? If rock’s causing a problem, make sure the firm you call in has the expertise and experience not to create a bigger one. Maine Drilling & Blasting is right around the corner and ready to help with your blasting needs. Projects for towns and municipalities usually involve tight adjacencies to existing structures and systems. Maine Drilling & Blasting knows how to safely clear the way for fixes and upgrades. Our thorough planning, Hazard Analysis protocol, and cautious blasting practices ensure precise, safe blasts. We communicate with nearby businesses and citizens to allay worries and provide professional pre-blast surveys of area structures. So if you need to break rock and nothing else, you can have confidence in Maine Drilling & Blasting as the blasting company to call on. Need a soup-to-nuts quarry plan, not just straightforward drilling and quarry blasting? Trying to maximize your yield? Looking for a long-term relationship and a 100% crushable service? Look no further. Maine Drilling & Blasting is right around the corner and at your service … with the kind of quarry blasting service you’ve not yet experienced. 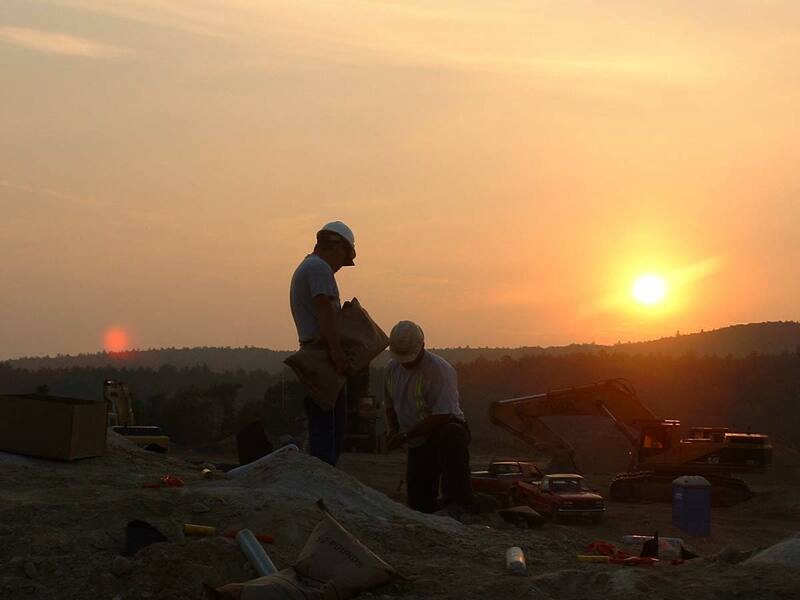 Maine Drilling & Blasting’s Quarry Division services over 180 quarries across 7 states, in pits ranging from 10,000 to 1,500,000 tons of production a year. Our turnkey services offer a high-yield relationship. Our people utilize the latest technologies, including EDT-Electronic Detonator Technology, laser profiling, bore tracking, videotaping, and seismic monitoring. Our fully-staffed, in-house Engineering Department defines scopes, and prepares site volumes surveys for the development of comprehensive quarry plans. We provide a 100% crushable service. So if you want to save time and money in your quarry, consider Maine Drilling & Blasting as your quarry drilling and blasting company. Need to upgrade a substation? Need access and site work for wind towers? Need to build a project in an extremely remote location, with difficult access? Need drilling and blasting for a pipeline or power transmission lines? Need rock bolts for wind tower foundations? Need to expand berths for fuel cargo deliveries? With local resources throughout the Northeast, we are able to meet your needs and accomplish any requirements you have. Not only do we have the necessary resources, here at Maine Drilling & Blasting, we have dedicated employees who willingly relocate to get remote energy projects done as quickly and efficiently as possible. Since 1966, our standards are steeped in the tradition of being family-owned and operated. We’re a close and cohesive group. We’re also all owners. Maine Drilling & Blasting began the transition to employee ownership in 2004, resulting in progressively greater individual responsibility in the work being produced. We work with the unity of a family and the determination of business owners. Need drilling and blasting for new trail development? Could you make use of our Value Engineering and Design/Build services? Would you like to improve your snowmaking efficiency by considering our Engineering Department’s suggested modifications to existing terrain? Need holes drilled for snow guns, fence posts or winch points? Need rock anchors installed for foundations for lift towers? Our Engineering Department, in a team-based approach, can assist in on-site technical support for trail development. With use of GPS and CAD technology, our professionals can collaborate with a ski resort to help save snow costs by offering suggested modifications to existing terrain that can improve snowmaking efficiency while maintaining the character of the trails. So, if you need a cost competitive source with the expertise it takes, contact Maine Drilling & Blasting. Last month we had 4 blasts totaling 121,588 tons of shot rock from two areas of the quarry. Some issues we have addressed this month have been the multiple different grades left on the quarry floor from the previous blasters. Because of these grade issues the toes/bottoms of the shots this month have been difficult to dig with the 992 loader. Pete Bennett, Kevin Falvey and Kevin Godfrey have helped to establish new (proper) grades for the quarry benches which will help the loader have an easier time digging and loading the haul trucks moving forward. I worked with Pete and Kevin F. last year at our Taunton location with excellent results. I feel that their willingness and eagerness to communicate throughout the entire process (planning, blasting, and production efficiency) was the main factor in the success at the Taunton Quarry last season. I believe we can attain similar results at our Wrentham quarry because of this communication that the Maine D&B crew has with my staff, as well as myself. "